Moisturising – Why it’s important and my recommendations. Photo credit Lou Denim. Hair and Make-up Victoria Bond. Model Annie Budgen @ Milk. Moisturising is a major part of any skin care routine. It is also key in prepping the base for make-up. You will never be able to get a gorgeous base if you don’t moisturise first. I have already talked about facial oils in another post. I tend to use oils and moisturisers together for maximum effect. For work I use heavier moisturisers as I am looking to drench the skin and get rid of any dry patches. I am also using the moisturiser to thin out the foundation create highlights and make the skin look real. The foundation sinks into the skin with the moisturiser creating gorgeous seamless skin. I will talk more about foundation in a later post. I do adjust this for different skin types. You can generally feel if the skin require more or less moisture. If it’s sitting on top of the skin tissue of excess do give it time to absorb first. If it still feels tight add more. Get to know your skin although it will behave differently according to time of year, day, hormonal changes, illness, pregnancy. When it comes to moisturisers as part of a skin care routine I opt for slightly lighter options. Combined with a facial oil I find this works well for most people. Long term overloading of the skin can cause little white spots known as milia. If you do notice you have these it maybe because your moisturiser is too heavy for your skin. Un-moisturised skin will just become dry and tight and cause premature ageing over time. 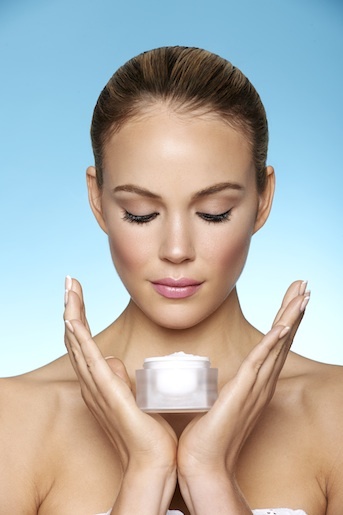 To get the most out of your moisturiser try to go for one that also contains an SPF. So not only are you getting lots of loveliness into your skin you are also being protected from the suns harmful rays. I recommend wearing an SPF all year round. Its kind of obvious what to do with dry skin but oily skin its not so. I have a theory that there is only one skin complaint and that’s dry skin. Its just that skin reacts in different ways to compensate for this. Some skin just becomes dry, tight and patchy but some skin will kick out oil to dry and compensate for the dryness. Thus people with oily skin tend to have dry patches as well. I always recommend treating oily skin as if it was dry it tends to do the trick! Try it let me know how you get on! 1. Sisleya Global Anti age by Sisley £269 Selfridges. This is the ultimate in luxury and my personal favourite I use this every morning! Its totally super duper its perfect for my skin not too heavy not too light. Smells divine worth the money if you have it! 2. Welda skin food £9.95 feel unique.com. This is what I’m using in my kit at the moment I love it. Its super thick and sorts out any dry skin patches. It makes the most beautiful base for make-up the highlights are fantastic! It’s so cheap it’s a must have! Oh it smells nice too models always ask what it is!! 3. Bioderma sensibio anti redness moisturiser £15 Escentual. This is super light weight so if you are prone to breakouts this could be the one for you. I tend to use this for grooming as it takes redness away which means I can put less base on! Which is much better for men. 4. Dr Hauschka rose day cream £28 Selfridges This is an old favourite of mine and always in my kit. Its made out of oils and lots of lovely ingredients. It nourishes the skin leaves gorgeous highlights and smells Moisture. it now comes in an extra rich formula that would-be perfect for winter! Photo credit Lou Denim. Hair and Make-up Victoria Bond @ Caren Model Annie Budgen. Cleansing the skin is a really important, this keeps the skin healthy and sets the stage for make-up. It’s really important to use the right cleanser for the job in hand and according to your skin type. I think the most common mistake is to use a cleanser that is too harsh. or worse than that using wipes! When people tell me they use wipes my whole body recoils in horror! Wipes are ok for quick cleanse now and again, but used on a regular basis can be damaging to skin and worse still cause wrinkles. So girls if you want to stay youthful put them away for emergencies only. Do try not to sleep in make-up. Night time is when the body repairs itself. So it’s best to make sure the skin can breath so it can renew. This is also important if you want to keep a fresh youthful complexion. I also recommend using good quality cotton wool (I like Boots own brand). I always wet mine first so its gentler on the skin. If you do wear heavy make-up or waterproof mascara I would recommend using an oil based cleanser specifically for eyes. This will just melt away makeup and cause less damage in the delicate eye are. I will talk about deeper cleansing and exfoliating in another post. 2. Bobbi Brown Instant Long-Wear Make-up Remover £18 House of Fraser. So if I’m doing a beauty shoot I will use this to remove the eye makeup. It’s still very gentle but it’s specifically for waterproof or long-wear make-up. Its still safe if you wear contact lenses! So I would recommend having this on hand for big make-ups and if you wear waterproof mascara. 3. Kiehls Supremely Gentle Eye Make-up Remover £11.41 Nordstrom. This is what I personally use to remove my make-up. Its super gentle and it doesn’t sting. I like the creamy formula. My skin always feels clean without a tight sensation. 4. Darphin Azahar Cleansing Micellar Water £23 darphin.co.uk. This is another go to cleanser for me. I use this on myself and it is also in my kit. Its again good for sensitive skin. It softens, refreshes and comforts skin. Pricey but worth it! Models always ask what this is as they like the feeling of it on their skin. I was really lucky to work on this fantastic video for Mr Porter. It was an absolute pleasure to make-up Angus and Julia. I really enjoyed listening to them play. They did invite me to their gig but unfortunately I couldn’t make it! I’m regretting that now! Aren’t they fantastic! Photo credit Darren Black Make-up Victoria Bond @ Caren Agency Hair John MacPherson. I’m trying to answer all the questions I’m so frequently asked as a make-up artist. I would also like my blog to become a place where people can come to get good solid advice. Obviously the above image is editorial and have used a very exaggerated false lash for maximum effect. but I thought it would be a fun image to go alongside this post. first of all I’m going to explain how to get lovely thick long lashes. I will then recommend my top four. If I recommend a product I either use it on shoots or its a personal favourite. Either way its been road tested and comes up to scratch. 2. Once the lashes are curled start on the mascara. Make sure the mascara isn’t too old. Try to change it every 3-4 months. This will ensure good results and less chance of getting an eye infection! Try not to pump the wand in and out into much as this lets in air and can dry the mascara out. 3. I like nice thick full lashes so I very rarely wipe any excess mascara on a tissue. But if you want a skinner more natural lash then get rid of the excess. Maybe use brown rather than black and just coat the top lashes. 4. Once you have the magic wand in your hand get working! so for the top lashes make sure you get the mascara right at the roots from there wiggle up in a zig zag motion covering the lashes from root to tip. Do this and repeat several times until you get the desired effect. I always say give them another coat even if you think you have finished. 6. Some people do the bottom lashes first to prevent the top lashes going onto the eye. I always do the bottom lashes last I just make sure the top lashes are dry before I start the bottom. 7. So for bottom lashes turn the brush vertically and gently move the wand along the lashes coating them from root to tip. You may find you need the fan brush for the bottom lashes. This will help keep them clump free and in the right place. 8. If you do have very straight lashes very carefully re-curl them with the eyelash curlers once the mascara has been applied. be gentle and do this slowly as you don’t want to pull out any lashes. 9. chuck away those falsies who needs them now! 1. Maybelline the colossal go extreme mascara £6.99 Boots (Boots always seem to have a 3 for 2 offer on) This is my all time favourite mascara its always in my kit. It’s cheap it gives full fat black lashes, it lasts all day and it doesn’t flake. The waterproof doesn’t budge! 2. Mac studio sculpt lash £14.50 I’m really loving the Mac mascara’s at the moment. I used them in Milan last season at the shows. This mascara in particular has an interesting brush that helps to define and create fullness. 3. Burberry bold lash mascara £23 net- a- porter. This is definitely more of a luxury mascara the packaging is super slick and would look good in your hand bag. Not only does the packaging look good the mascara is fantastic it coats the lashes and its easy to build up. It lasts well and doesn’t flake. 4. Dior show black out £24.50 John Lewis. This is an old favourite of mine. But it has been reformulated for a more intense thick black look. A luxury price but worth it!